I drove the Leaf to San Diego's official electric car celebration on Sunday. 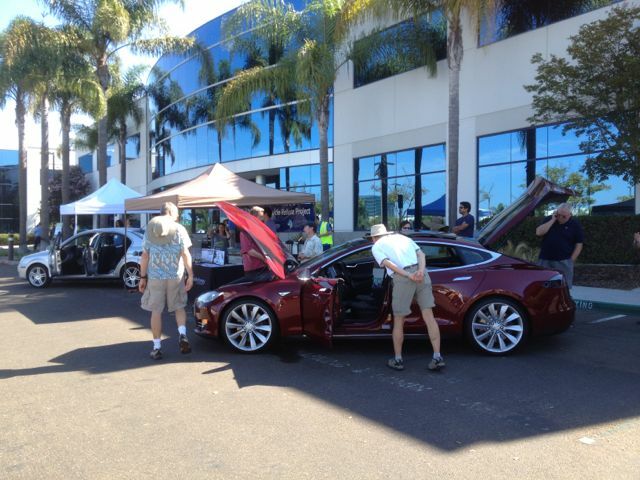 More than seventy electric car owners were there. Free lunch! Lots of talk about high-voltage Level 3 charging stations, which are starting to roll out in California. Those make long-distance trips more practical; a Nissan Leaf could theoretically charge from empty to 80% in 20 minutes! This one had a sticker price of over $108,000. YIKES! 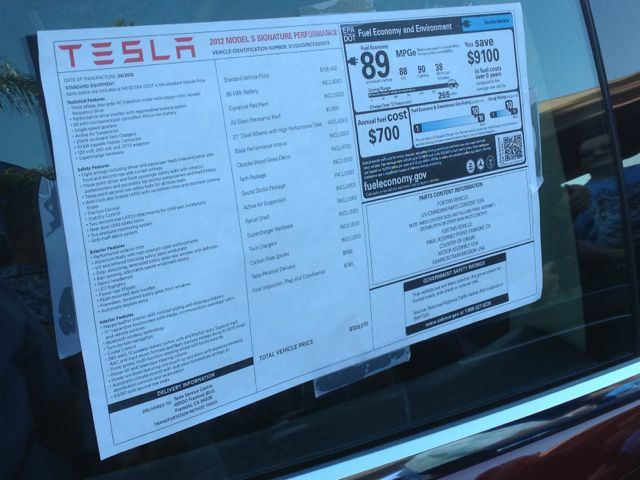 If you can afford that, I guess the federal and state incentives don't matter very much.